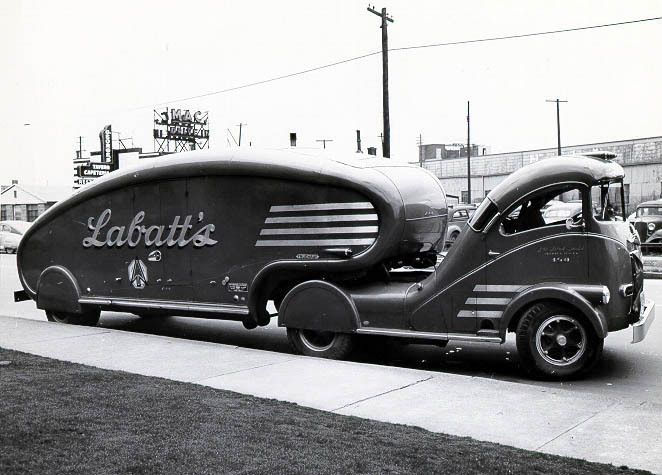 I ran across a picture of the LaBatt's Beer Streamliner and I instantly fell in love. I miss the idea of delivering a single product in style - a transport with a single purpose. Perhaps this is the Canadian "Budweiser Clydesdale." I just wish I could witness one in the wild. Lots more information through the usual avenues. I agree. I am a total sucker for purpose built equipment. The teardrop driver's side window is a particularly elegant piece of work.